Wow- one of the best perennials that we grow. Easy to grow, so useful, pretty and even a nice edible that we enjoy in summer iced teas. A dome shaped perennial that is virtually everblooming. 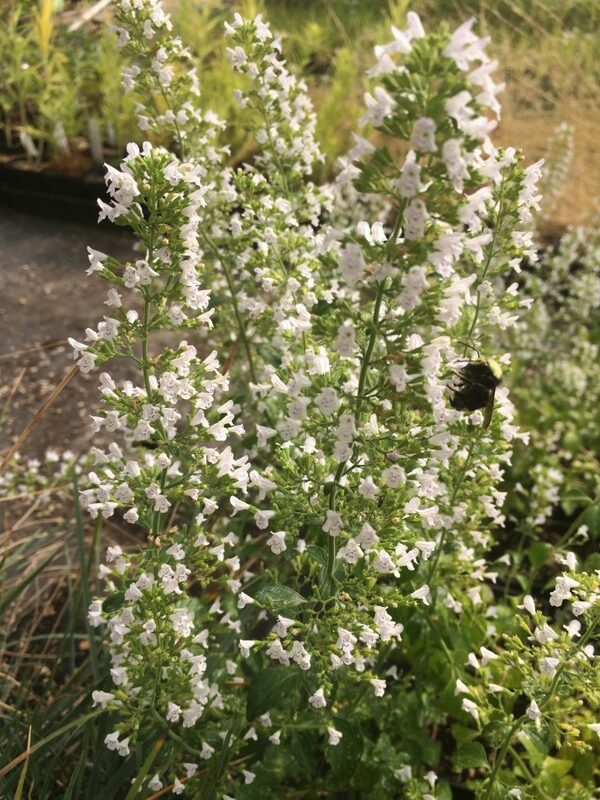 Clouds of tiny white flowers are absolutely LOVED by pollinators of every kind. A well grown clump in bloom is a buzzing fountain of activity. Blooms May to September unabated. Full sun, rich to average well drained soil with light but consistent summer irrigation. Full sun. 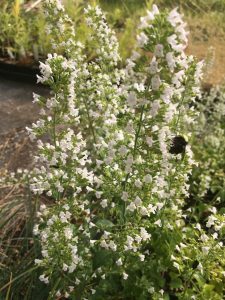 The fine white clouds of flowers work well as filler in borders or as a low cloud supporting taller flowers. Winter deciduous. Loved by the kitties. To 2′ tall and 2′ wide in a single season. Cold hardy and low water. Exceptional plant.